Ruby black color. Fruity, attractive aromas and flavors of berry pie a la mode and praline with a silky, vibrant, fruity medium body and a sleek, delightful, medium-length finish evoking nuances of nuts, pomegranate, roasted beets, and minerals with well-integrated, chewy tannins and light oak flavor. A tangy, mouthwatering red that will liven up a meal. 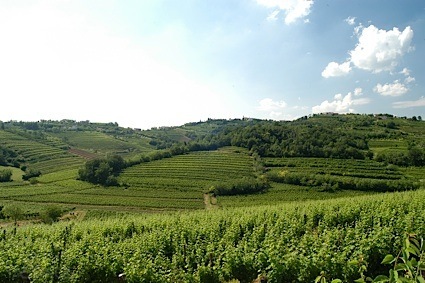 Bottom Line: A tangy, mouthwatering red that will liven up a meal. 86 • Finca La Malena 2015 Malbec, Mendoza 13.1% (Argentina) $14.99. 93 • Finca La Malena 2016 Torrontes, Mendoza 12% (Argentina) $14.99. 92 • Lucky Frog 2015 Sauvignon Blanc, Mendoza 12.5% (Argentina) $9.99. 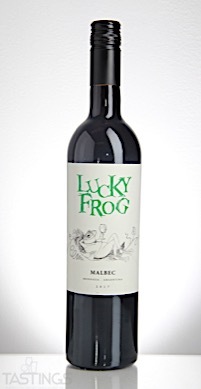 88 • Lucky Frog 2015 Malbec, Mendoza 14% (Argentina) $9.99. 89 • Lucky Frog 2017 Cabernet Sauvignon, Mendoza 13% (Argentina) $9.99. 89 • Lucky Frog 2017 Malbec, Mendoza 13.5% (Argentina) $9.99. 86 • Solandes 2014 Coleccion Roble, Chardonnay, Mendoza 12.7% (Argentina) $16.99. 92 • Solandes 2015 Coleccion Roble, Malbec, Mendoza 14.3% (Argentina) $19.99. 86 • Solandes 2013 Coleccion Roble, Cabernet Sauvignon, Mendoza 13.9% (Argentina) $19.99. 88 • Vall Por 2006 Priorat 15% (Spain) $39.00. While Malbec is historically known as a red Bordeaux variety, it is Argentina that has given this grape its new found popularity. Bright purple in color with ripe plum and black cherry fruit with moderate acidity, Malbec from Argentina has become the people’s choice among moderately priced red wines ($12-$16 a bottle in domestic markets). Along with the plum and black cherry flavors, there are notes of pepper, black spice and in a few examples, a note of tobacco. Most versions from Argentina are made for consumption upon release or within the first two years after the vintage date; however, a few producers make long-lived offerings of Malbec from older vineyards that retail for $40 or more. Malbec can work with a humble foods such as empanadas, hamburgers or grilled chicken or even roast meats or lighter game. Lucky Frog 2017 Malbec, Mendoza rating was calculated by tastings.com to be 89 points out of 100 on 8/13/2018. Please note that MSRP may have changed since the date of our review.